Guest blog post by Peter Minkoff, a fitness and health writer at The Beard Mag and Gentleman Zone magazine. Instead of treating exercising as something you should do, treat it something you have to do. In other words, it should become a part of your daily routine. First, decide on how often you want to work out. Then, schedule your workouts in your daily planner or calendar just like you would schedule any other appointment. This might seem unnecessary, but once you move your workouts from the optional category to the obligatory one, you’ll have a much easier time staying motivated. If you’re working out on your own, it’s easy to get bored and demotivated. This is why you should set some goals for yourself. The goals could be anything, just try to make them short-term. This way, you will be able to track your own progress much more easily. You’d also have a clear reason for working out, instead of just doing it because you know you should. After completing the above-mentioned goals, reward yourself. Go see a movie with your friends, buy yourself a new pair of jeans, or spend a day in a spa center. Just don’t reward yourself by eating a whole pizza on your own or eating a candy bar every time you go to the gym. This way, by knowing there’s a reward waiting for you at the end of the day or week, you’ll feel much more motivated to stay on the right path. 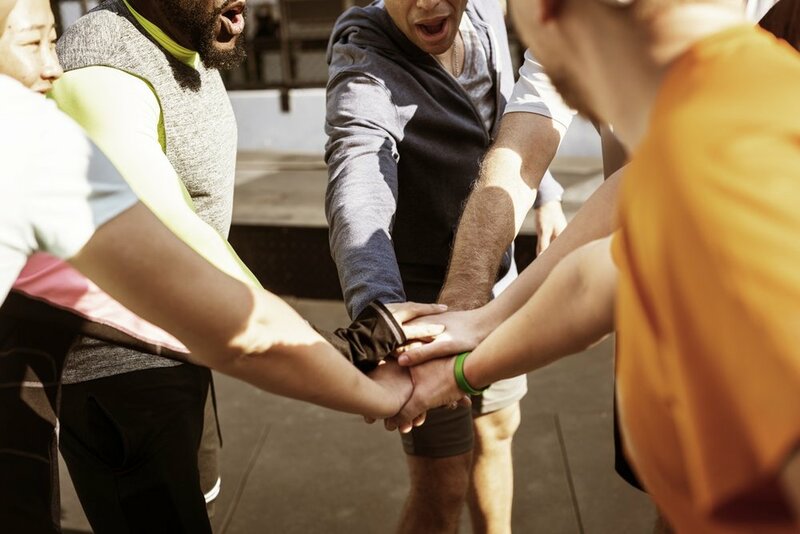 Being in a group of people who are just like you might be just the kind of motivation you need. You won’t feel alone on your path to success, and you might even make some great friends. You might also find your competitive spirit, and needless to say, everything is more fun when you’re not doing it alone. If you don’t like the idea of joining a class, find a friend who is into exercising and has similar fitness goals to yours. You’d be getting in shape while strengthening your friendship at the same time. This is probably one of the best ways to stick to your schedule. Deciding to train with a personal fitness trainer is a serious commitment, which means that you’ll be less likely to back out of it. Moreover, your trainer is a professional after all, which means that they will know what you need and how to make the whole exercising routine much more effective and fun for you. You know how music always makes you want to dance and just makes you feel more energized in general? 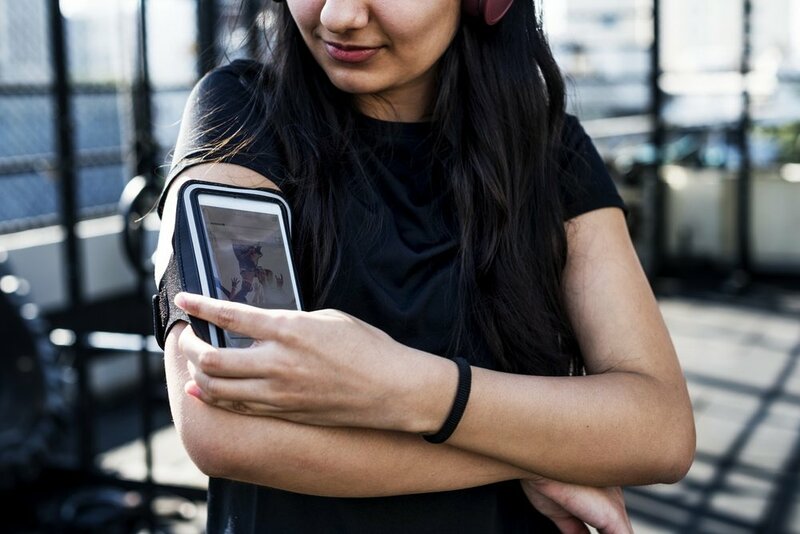 Use that power of music to your advantage, and create your own workout playlist. Include fast songs that make you want to move around, and you might even find yourself looking forward to exercising just so you could enjoy the feeling of moving to the music. What is it that motivates you to work out? Do you want to lose weight, gain muscles, get a six pack? Do you want to look like your favorite actor or actress? Or do you simply want to improve your lifestyle? Whatever it is, surround yourself with it – hang posters on the walls, use motivational wallpapers as your phone background image, watch movies that emphasize good physique, etc. Sometimes, all it takes to feel motivated is one glance at your final goal. At the end of the day, the best way to motivate yourself to exercise is to find the type of exercise that is both effective and enjoyable for you. If you choose something that you don’t even like, it will always feel more like a chore than a hobby. So, try to spice up your workout routine with some of the above-mentioned suggestions, and have no doubt that the results will show in no time.